This year for Christmas we received a coffee pot/hot water heater combo and it is part of my favorite space in the house. 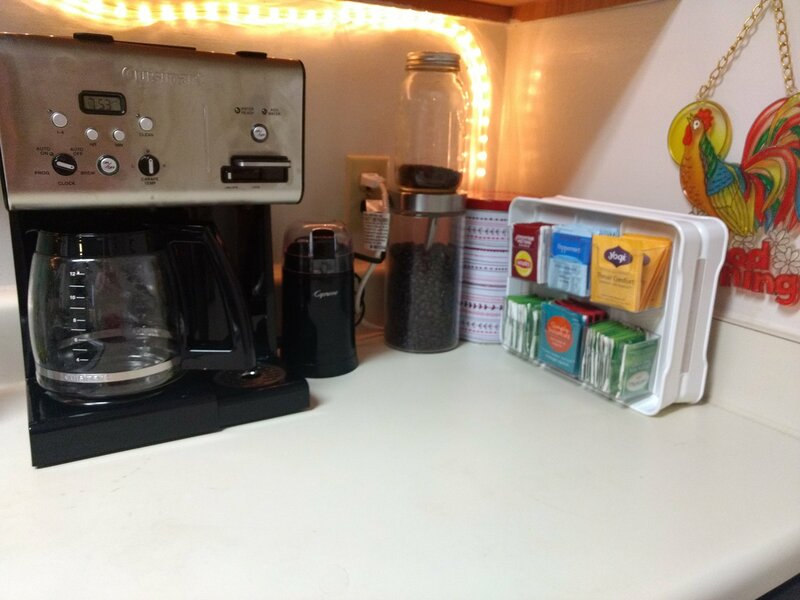 We drink at least a pot of coffee between the two of us every day and the water is making hot tea a more streamlined relaxing task every night. This area helps make me a little more inspired to get up and go and share the coziness with those I love. It’s just the best little nook! What area of your house do you love the most?